Four years ago Monday, the Pakistani terror gang Lashkar-e-Tayyiba attacked Mumbai, killing more than 160, including six Americans, in the deadliest and most brazen terror attack since 9/11. Then and now, LeT enjoyed the support of Pakistani intelligence and al Qaeda. Today, LeT is a ticking time bomb ready to explode again. Ajmal Kasab, the only one of the 10 LeT terrorists who survived the attack, was hung for his crimes in India this week. He had confessed to joining the organization and to being trained in its camps in Pakistan for the operation. He implicated the senior LeT leadership in the plot. LeT’s founder and leader Hafez Saeed is not only still free and at large in Pakistan, he routinely speaks at large rallies attacking India, America, and Israel. He denounces the drones and demands Pakistan break ties with America. He eulogized Osama bin Laden as a “hero” of Islam after the SEALs delivered justice to al Qaeda’s amir last year. Saeed’s patrons include the Pakistani army and its intelligence service, the ISI, which works closely with LeT. Kasab also implicated the ISI directly in the Mumbai operation, saying it assisted with his training and helped select the targets. Two Pakistani emigres, David Headley (an American) and Tahawwur Rana (a Canadian), have also confessed in American courts that they helped LeT plan the massacre in Mumbai and that the ISI was deeply involved in it. Both were found guilty. The ISI helped bankroll their reconnaissance trips to Mumbai to set up the attack. In researching my forthcoming book, Avoiding Armageddon: America, India and Pakistan to the Brink and Back, it became apparent that there was a third party behind the scenes in the Mumbai plot: al Qaeda. Al Qaeda deliberately kept a very low profile, but helped the LeT plan and select the targets. Al Qaeda and LeT have long been close. Bin Laden helped fund its set-up, and LeT routinely helps hide al Qaeda terrorists at its bases in Pakistan. Al Qaeda had big hopes for the 2008 plot—a war between India and Pakistan that would disrupt NATO operations in Afghanistan and the drone attacks on al Qaeda. Instead, India chose to use diplomacy and avoid a military response. We all dodged a bullet. Since 2008 LeT has continued to enjoy a free hand in Pakistan and plot more attacks. In 2010 it planned a major attack on the 19th Commonwealth Games held in New Delhi. The plot was thwarted by good intelligence work, especially by the British intelligence services. This summer the Indians arrested a major LeT terrorist, Sayeed Zabiuddin Ansari, a.k.a. Abu Jindal, who was plotting another terror attack from a hideout in Saudi Arabia. Abu Jindal was also involved in the Mumbai operation in 2008—he was in the LeT-ISI control room in Karachi from which the orders were given by cellphone to the terrorists to kill hostages, including the Americans. 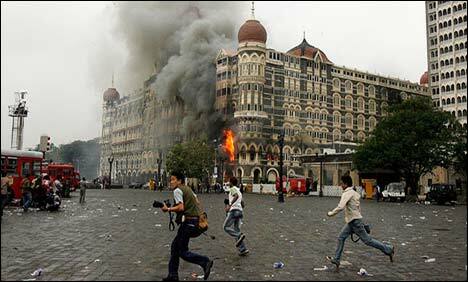 The Mumbai attack took place just after Barack Obama’s election. It was his first crisis as president-elect. In the last four years his administration has tried to rein in LeT. This year a $10 million reward was offered for information leading to Hafez Saeed’s capture, and the U.S. helped capture Abu Jindal. But the group is free to plot and plan in Pakistan and it has cells in the Persian Gulf, Bangladesh, England, and elsewhere. It will strike again sooner or later. When it does, al Qaeda and the ISI will probably be co-conspirators again. Pakistanis for Peace Editor’s Note– It has been 4 years since the tragic days of November 26, 2008 and the alleged masterminds of the attacks, the leadership of LeT has still not been brought to justice. We at Pakistanis for Peace believe that in a good faith measure towards a lasting peace between India and Pakistan, the Pakistani government needs to apprehend the LeT leadership and extradite those remaining terrorists responsible for this tragedy to India to face their trial and punishment there. Only then, can Pakistan and India start a dialouge about peace. India’s interior minister hinted on Friday that Pakistan could be behind weeks of violent anti-India protests in the disputed Kashmir region, a move that could hurt the nuclear-armed rivals’ attempts to improve ties. This is the first time New Delhi has linked Pakistan to the violence in Kashmir that has killed nearly 50 people since June. Earlier India had said Pakistan-based militants were inciting trouble in Kashmir, a region divided between India and Pakistan and which both claim in full. “Pakistan appears to have altered its strategy in influencing events in Jammu and Kashmir,” Palaniappan Chidambaram told the Indian parliament during a debate on the protests, among the biggest since a separatist revolt against Indian rule broke out in 1989. There were fresh pro-independence protests in several places in Kashmir on Friday. At least two people were wounded when police opened fire on thousands of protesters in Sopore town in north Kashmir. The minister’s comments could be seen by Islamabad as a provocation, damaging prospects for improving ties that plummeted after the 2008 Mumbai attacks that killed 166 people and derailed a sluggish four-year-old peace process with Pakistan. So far, the latest violence in Kashmir has appeared to have little impact on relations. The two sides last held peace talks in July and those ended in acrimony over the attacks, even though the dialogue itself is seen as a tentative step towards improving ties. Divided Kashmir remains at the heart of the dispute between India and Pakistan, with both sides claiming the Himalayan region in full. They have fought two of their three wars over it. India accuses Pakistan of fuelling unrest in Kashmir, but Islamabad says it only lends moral support to what it calls Kashmir’s independence movement which has killed tens of thousands of people. In June, India blamed Pakistan-based Lashkar-e-Taiba (LeT) militants for the Mumbai attacks, but Kashmiri separatists say protests by crowds of mainly Muslim youths are generally spontaneous. LeT was founded in 1990 to fight Indian rule in Kashmir and is based in Pakistan’s Punjab province. Militant violence has fallen dramatically in recent years but popular protests have continued. In 2008, the region witnessed the biggest protests against Indian rule in two decades. Kashmiri separatists want to carve out an independent homeland or merge with predominantly Muslim Pakistan. Pakistan’s Supreme Court on Tuesday upheld a lower court’s decision to free the leader of Lashkar e Taiba (LeT), a militant group that is blamed by India for masterminding and orchestrating the November 2008 Mumbai attacks in India that killed 166 people. 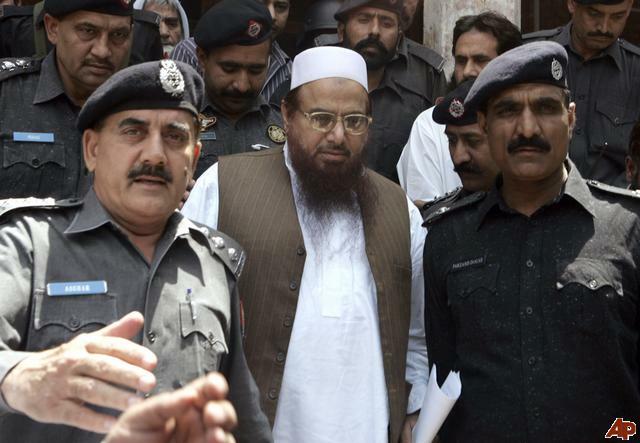 Hafiz Mohammad Saeed, the leader of the terrorist group had been placed under house arrest. However, he was released a year ago by the provincial Lahore High Court due to the fact that there was insufficient evidence against Hafiz and other members of the group. The only evidence against him and the group was the confession of Mohammed Ajmal Amir Kassab, the lone person charged with attacks in India, who was given a death sentence earlier this month. Pakistan’s government appealed the decision of the Lahore High cCourt to the Supreme Court which upheld the lower court’s decision. 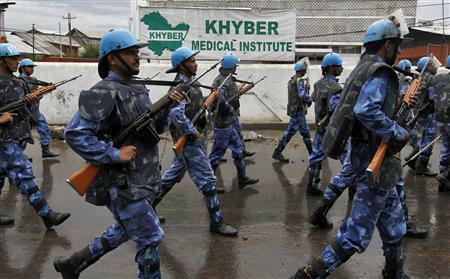 Lawyers for the government of Pakistan had requested that India extradite Kassab so that he could give testimony in Pakistani courts against Saeed and the militant group. However, India understandably did not hand over Kassab for fear that the sole surviving perpetrator of the Mumbai attacks could end up in a Pakistani court that sets him free. Sadly, this now happens to be the case as the masterminds of the attacks and leader of an already banned terrorist group, Hafiz Saeed, is set to be freed soon. This obviously is very disappointing news to India to say the least. It would be the equivalent of letting the mastermind of the September 11 attacks, Khalid Sheikh Mohammed, have a long and high profile trial in New York, only to be set free for lack of evidence and or a weak case by the prosecution. The families of the victims would not stomach such a travesty and neither would the American people. In this same manner, the families of the Mumbai attacks are very upset by this decision by Pakistan the Supreme Court to release Saeed will now surelyonly serve to stall peace talks between India and Pakistan that were slowly progressing at the sidelines of the South Asian Association for Regional Cooperation (SAARC) meeting in Bhutan in April of this year. At a time when the world’s attention is on Pakistan and Pakistanis for being associated with terrorism due to the attempt to bomb Times Square by Faisal Shahzad, the country and its courts have shot themselves in the foot by allowing to set free a known terrorist leader of a group that is not only attacking India and trying to provoke a war between the two countries, but is believed to be behind many attacks inside Pakistan also killing many innocent people. If the shoe was on the other foot and the attackers came from India and killed 166 Pakistanis in a busy shopping area, while simultaneously attacking a major hotel, railway station and other locations throughout any of Pakistan’s major cities, then trust me, there would be demand for blood by Pakistani citizens and militias would have formed with or without the government’s blessings, and theywould have retaliated against the Indians. The Indian government and the Indian people are showing great resolve and patience with Pakistan and all along hoping that it truly becomes 100 percent committed to fighting and rooting out terrorism and terrorist groups within its borders as it is touted to be. But as Tuesday’s decision by the Supreme Court illustrates, Pakistan’s government has a mixed record when fighting extremist groups within the country. As mentioned in previous articles on this site, the government of Pakistan and the army have supported and helped organize some of these militant groups like Lashkar e Taiba in order for the Pakistan army to have a guerrilla outfit as an ally in the event of a war with India. That is why there is reluctance by some inside the military and ISI to fully disband Saeed’s group, believed to be one of the largest and well funded militant groups in Pakistan. The government of Pakistan needs to realize that it cannot talk out of both sides of its mouth. It cannot present itself as one of the biggest allies of the US in the War on Terror, while at the same time not deal effectively with militant groups that are hostile to India. We at Pakistanis for Peace are outraged that Hafiz Saeed, a known terrorist leader is set to be free from Pakistani courts. Our group and website Pakistanis for Peace was founded immediately after the Mumbai attacks in 2008 by concerned Pakistani Americans in response to the cowardly terrorist attacks by individuals who snuck in from Pakistan to cause one of the biggest terrorist incidents to ever hit India. These attacks certainly became their 9-11. To now have the leader of this terrorist group be set free by Pakistani courts only serves to strengthen the claims of opponents of Pakistan that it is not doing enough in the fight against terrorism. Certainly the families of the 166 dead Indian nationals deserve justice and better outcome than what transpired in Pakistan’s Supreme Court this week. 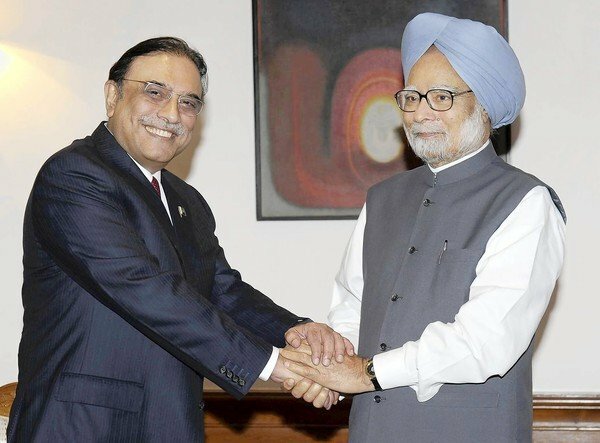 One should make no mistake, only a just and lasting peace with India will ever lead to a prosperous Pakistan and the sooner there is an earnest effort to stop ALL militant and terrorist groups operating within inside the country by Pakistan, the sooner the two sides can sit across from each other at the peace table.